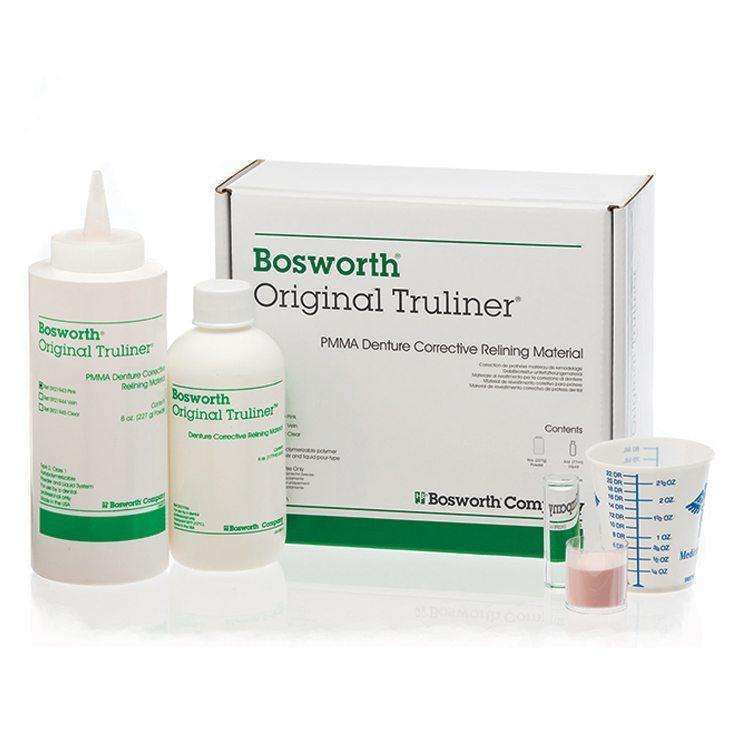 Original Truliner is a PMMA chairside denture reline material formulated to last the life of the denture. The extremely fine-milled powder cures to a dense consistency and prevents the reline from assuming odors, tastes, or stains. Creates a strong permanent bond in as little as ten minutes that will not chip or discolor. Can also be used for repairs and orthodontic appliances. Powder available in pink, vein and clear.